Lose Those Monitor Wedges Forever! The Galaxy AS900 Band Pack System gives you and the rest of the band everything you need for in-ear monitoring. Send one stereo mix to the whole band, and let everyone adjust their volume independently. The whole pack comes with four receivers, one transmitter, and Galaxy EB4 earbuds for each unit. The core of the Galaxy AS900 system is the AS900T transmitter. It runs off a standard 12V DC adapter. You'll use it by running a stereo mix from your mixer or computer interface to the Left and Right XLR-1/4" combo inputs on the back. Or, if you're running only one channel, you can flip a switch on the rear panel to switch it between Mono or Stereo mode. On the front of the AS900T transmitter is a multi-colored LED level strip giving you independent level meters for both channels. A handy headphone jack for the front-of-house engineer has its own volume knob. The four Galaxy AS900R receivers that come in this package each have their own Headphone Out Volume control. 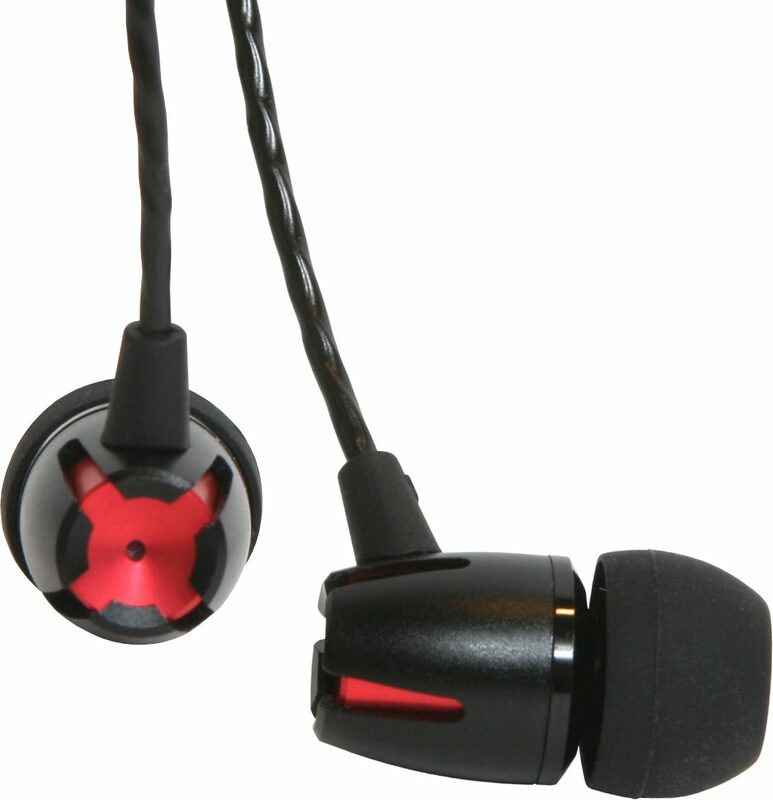 They give you a clear in-ear mix and run at 80 mW. A super handy RF Indicator lets you follow your signal strength as you go. The receiver bodypacks have standard 1/8" jacks, so you can plug in the included Galaxy Audio EB4 earbuds, or use any earbuds or headphones you prefer. The AS900R receivers each run off of 2 x AA batteries, and have a low battery indicator light to give you ample time to make a switch when necessary. They weigh in at a feather-light 3.2 ounces each. The system operates via a fixed-frequency design with an RF Output of 10 mW and is fully FCC compliant for private use. 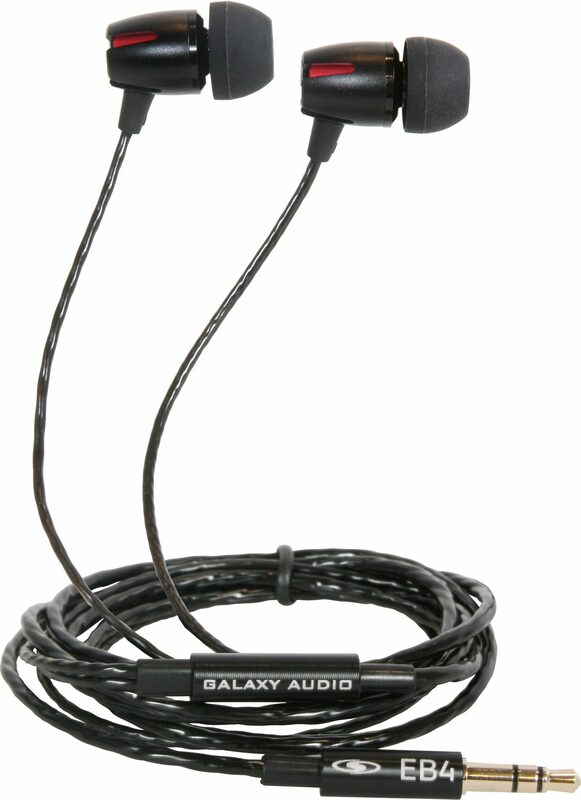 zZounds is an authorized dealer of Galaxy Audio products. The Galaxy AS900-4 Band Pack System makes it easy for any band to Get Personal. 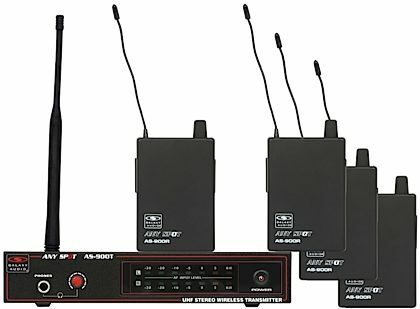 The system includes four receivers and one transmitter. It is designed to get the whole band wireless in one package. The AS9004 will allow a band to send one stereo mix to 4 individuals (additional receivers may be purchased). Also additional transmitters may be purchased to add mixes. Sound: Sound quality meets all my requirements for live performance. Feature: Overall very good. A power on indicator would be a nice addition, but not a big deal. Ease of Use: Very simple to set up, very easy to use. Quality: Unit is well made. Ear phones supplied with the unit are not very useful for us -- they don't stay in the ear and seal out too much ambient stage sound (we play acoustic and need to hear our own instruments in addition to the PA mix). Have replaced them with inexpensive open ear buds. Value: Best value I could find. Manufacturer Support: No experience Overall: Highly recommended if you need a simple wireless monitoring system. 29 of 29 people (100%) found this review helpful. Did you? Overall: The band loved it from day one! Our rehearsal space is pretty small so getting rid of the wedges was a major plus. Not to mention monitors really don't serve much of purpose, they give you place to put your set list or rest your foot. I'm also the singer in the group, I can finally sing our songs the way I sing them on our recordings. To be able to hear yourself is worth double the price. I upgraded my buds to the Shure 425's. But honestly the included buds were great. I strongly recommend this system!